JL Designs & Interiors LLC specializes in creating comfortable, inviting environments for home or work. Focused on friendly and attentive service, we custom tailor our designs to your unique style and budget. "The chairs are so beautiful. Thanks for all the time you spent patiently helping us choose the material and the company to do the job." "When we decided to remodel our master bathroom, I wanted to work with a designer but having never worked with one before I was hesitant. After meeting Jeanette my hesitation flew out the window. She was so easy to talk too and she really understood what my vision was. More importantly, she understood the need to keep to my budget. She designed the perfect space and really kept me to that budget while shopping for the finishes. The bathroom came out absolutely beautiful and on budget. I recently sold my home and was told that the bathroom was one of the selling points! Her professionalism, knowledge and gift for listening made the whole experience a pleasure. I look forward to working with Jeanette on future projects in my new home." "Jeanette was great to work with. She really shared outstanding ideas for our home. I was very pleased with the results!" 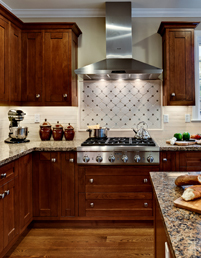 "We are so pleased with the design and layout of our new kitchen and family room. Jeanette used the existing floor space and to create a family gathering area with fabulous style and grace. Our kitchen looks so much larger -- what an improvement. Jeanette helped us from the building permit thru the final tile and lighting. Great job." "Jeanette is wonderfully talented and fun to work with. We were a little apprehensive hiring a decorator. But after meeting and working with Jeanette, we wouldn't do any project without including her. We found her to be an excellent listener, and wonderful at figuring out our style and what we wanted and she kept us within our budget. We've been extremely pleased and can't wait to start our next project with Jeanette!" "Jeanette has helped with interior design as we remodeled multiple areas of our home. She is very flexible, easy to work with and listens to what we want. We have relied on her sense of color and design to create rooms that are stylish, yet reflect our lifestyle." "Jeanette is a one of a kind dedicated professional that loves what she does for a living. She is detail oriented, personable, and will go out of her way to provide quality, service and knowledge to her clients. As a designer she is knowledgeable on code requirements and very detailed on drawings and specifications. As a product provider, she chooses items that not only fit the customer's budget, but lifestyle. 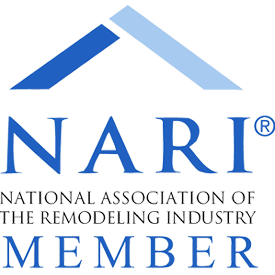 Valuable asset to anyone considering a remodeling project!" Copyright © Jeanette Loretz Interiors. All rights reserved.